How to get FlyingPics Free Photo Prints ? Sign up using Facebook, Instagram or Email id. Pick your best photos from your desktop, smartphone or Facebook/Instagram accounts. Add upto 6 Photos to your Print Cart, provide delivery address details and submit your order. Your Photos will be printed and delivered to your door steps, ABSOLUTELY FREE! 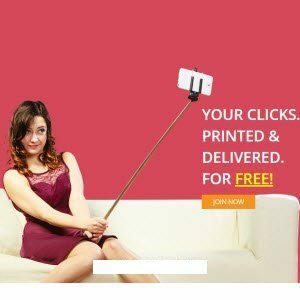 Your Photos will be printed and delivered to your door steps,ABSOLUTELY FREE! No registration charges – No printing charges – No delivery charges – No additional charges. When we say FREE photo prints, we mean FREE photo prints!